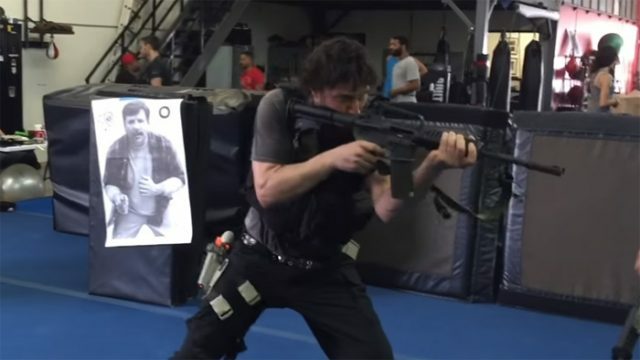 We have reported and talked with Keanu a while back during a firearms training session for his John Wick character, and now the man is working out behind the trigger again! New video recently released, shows Keanu Reeves is still extremely dedicated to perfecting his already insane firearm skills, as he trains with gun expert/designer Aaron Cohen. Keanu was training hard with Aarons new “Below-The-Waistband Deep Concealment Holster” designed to fit inside the front of the gun owner’s pants, and as we can see in the 7min clip below it seems pretty clear we’ll see it used at some point during John Wick 2.